< Previous Post Previous post: Is This The Very First Sonic Plush Ever Made? I thought April fools is over already??? 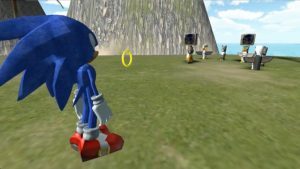 I like to see this this game into a reality but hard to imagine how the game would function with sonic’s speed and abilitys. Oh boy! Think of all of the motion sickness to be had…IN SUPER SPEED!!! But… why are his arms blue? At least give him his bandages if you’re gonna blue him! I don’t feel like I’ll have seen enough until I see how they are put to the test on portraying the sense of speed and jumping that the series is heavily reliant upon. 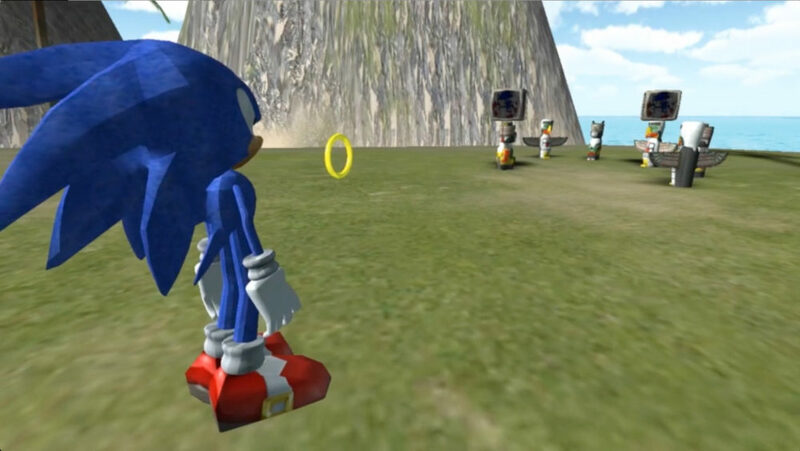 Plus I really want an answer to that age-old question: what does Sonic see when he spin-jumps? Like is it a spinning nightmare of dizziness or does he just spin so fast that if he focused on any one area it appeared to him as if he wasn’t spinning at all? These are seriously the questions that keep me up at night. Well, we have a new bar. Video seems to be missing. Did anyone here download this beforehand?